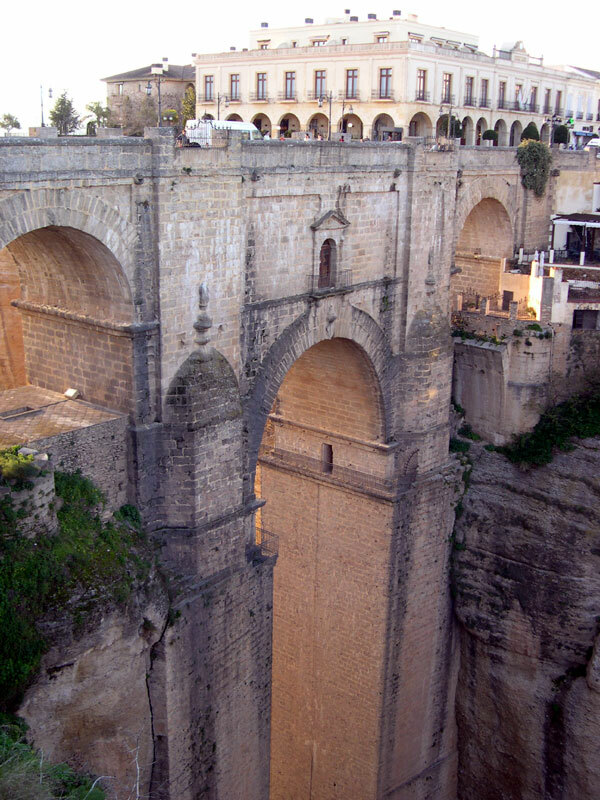 The Puente Nuevo (“New Bridge”, completed in 1793) is the tallest of the three bridges that span the Tajo canyon in the middle of Ronda. The Don Miguel Hotel (shown below) is just to the right of this picture. The El Tajo canyon and the Guadalevin River. 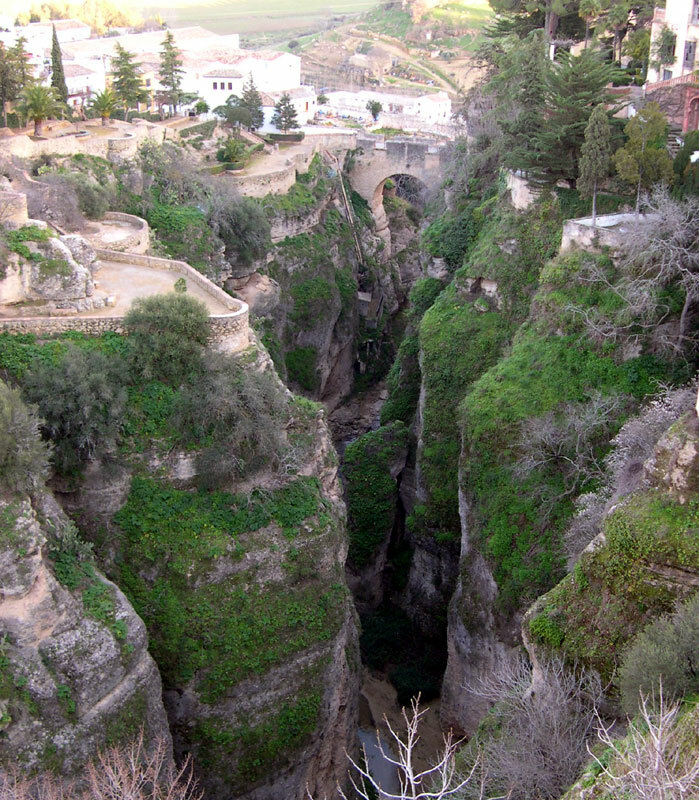 Ernest Hemingway’s novel For Whom the Bell Tolls describes the execution of Nationalist sympathizers allegedly based on killings that took place in Ronda at the cliffs of El Tajo. 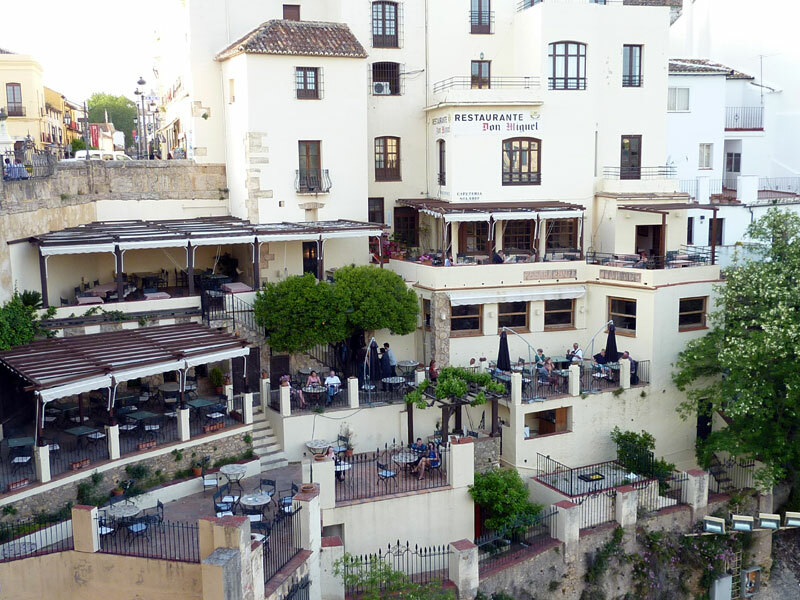 The Don Miguel Hotel and Restaurant are built down into the Tajo canyon. The Puente Nuevo is just to the left of this picture. 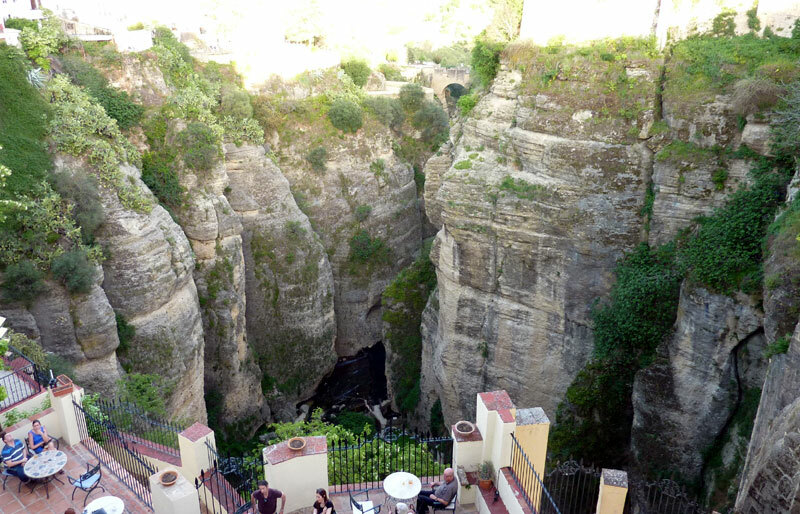 Looking down into the canyon from the main floor of the Don Miguel Hotel.